Developed for engineering students and professionals, this practical, design-oriented MSc will prepare you for a successful career in the fast-growing Internet of Things (IoT) industry or in your own IoT start-up. 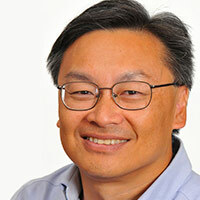 Professor Tom Chen, Programme Director. Cover the theory and practice that will be valuable for a career in the emergent IoT industry or starting your own IoT venture. Develop the deep expertise in the underlying technologies of electronics, sensing and communications that will enable you to exploit the demand and opportunities for engineers with both technical skills and an awareness of the business implications of IoT. Learn to apply your knowledge to create new inventions and ideas, and bring them to reality. Develop an entrepreneurial perspective that is essential for designing innovative products with a module from the Sir John Cass Business School, renowned as one of the UK’s leading business schools. To apply for this course, you should hold the minimum of a second-class honours degree, or the equivalent in an engineering, scientific or mathematical discipline. Suitable industrial experience will be considered, such as a few years in a related industry or start-up. The English requirements for this course are IELTS 6.5 (minimum of 6.0 in all four test components is preferable). If your first language is not English, or you require a Tier 4 visa to study in the UK, please upload a Proof of English Proficiency if you have already obtained it. Read the list of accepted qualifications. If you require a Tier 4 student visa to undertake a Master’s programme in the UK, please upload a detailed personal statement outlining why you wish to study this specific course at City, University of London, explaining how your past studies have prepared you for this course and how it will help you to progress in your career. Postal applications and supporting documents. Delivered by the world-renowned Cass Business School. Guided by an informal industry advisory group of IoT companies, including LG Electronics, CGI and Tivital. You may apply for competitive three- to six-month placements offered by the informal industry advisory group, at the discretion of the companies involved. These currently include a wide range of IoT companies, including LG Electronics, CGI, Tivital. The course makes use of extensive electronics laboratories maintained by the Department of Electrical & Electronics Engineering for teaching. Academic staff from City’s Department of Electrical & Electronic Engineering will deliver modules on this MSc. The Entrepreneurship module will be delivered by the Cass Business School. The taught modules consist of lectures, tutorials, and laboratory coursework. Lectures will provide you with a solid theoretical understanding of relevant technical and business fields. Tutorials and labs give you opportunities for practical training and experience in each subject. The programme focuses on a group and individual design project given by the informal industry advisory board or based on your own idea. A project fair at the beginning of the programme will disseminate project ideas and allow you to network with other students and industry advisors. A Starter Weekend offered by Cass Business School will acquaint you with business plans and inspire new ventures. At the end of the programme, selected individual projects will compete as new ventures, which will be judged but not marked. Various technical and business seminars will be held throughout the programme, approximately monthly. These seminars will be given mostly by industry professionals to reinforce knowledge in support of the group and individual design projects. The design project/dissertation aims to provide you with the opportunity to deal with problems in areas where new subject knowledge is required. This involves literature search, assessment of the relevance of previous work, the development of the design task, self-directed research, and the presentation of results. The Group Design Project will be assessed through an interim group report and a final group report, viva, and poster session. The Individual Project is assessed primarily through a dissertation, but with contributions from an interim report, work carried out during the project period and oral examination. Assessment criteria and grade-related criteria will be made available to you via programme handbooks, module specifications, on the virtual learning environment or attached to a specific assessment task. In order to pass the course, you should complete successfully or be exempted from the relevant modules and assessments and acquire the required number of credits. You will also need to pass each part of the programme in order to progress to the following part. The pass mark for each module is 50% for both coursework and examination combined. This MSc is uniquely oriented around practical design projects, guided by an informal industry advisory group of IoT companies, including LG Electronics, CGI and Tivital. The programme is made up of four core modules, two elective modules, and a final individual project. One of the core modules is a group design project, which will feed into the final individual project of your choice. Also, unique to this programme, another core module on entrepreneurship will be delivered by the Cass Business School on new product development and ventures. The programme follows a normal 12-month pattern with two terms of taught modules followed by a four-month individual design project/dissertation. The electives are studied in the second term. The third term is reserved for the final individual project. Electronic equipment and labs will be made available for projects. You will learn and apply technologies to design and create your own product that will contribute to the growing IoT industry. By engaging with representatives from industrial partners during the programme, you can develop your knowledge and skills for real-world applications. Learn theory and practice of computer networking, Internet protocols, and wireless communications. Practice how to build a founding team and manage financial resources. Critically evaluate security technologies and protection methods. Communicate effectively with group members and others. Select an IoT invention to design and develop, with perspective and experience gained from the group design project. Carry out product research, design and development with inputs from the informal industry advisory group or a plan for new venture. Present your final project with option to participate in a judged new ventures contest. The MSc project may be carried out as a three to six-month placement in a company, depending on availability and qualifications. After your MSc studies, this course will also provide you with opportunities for further study, leading to a PhD. Creating your own start-up after using the group design project as a pre-incubator. Working for one of the many IoT start-ups in the UK. Providing consultancy to IoT start-ups.